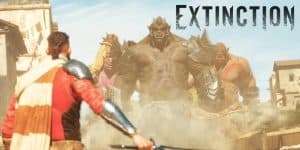 Extinction Release Date Set for April 2018 | Nerd Much? Extinction is closer to becoming a reality. Iron Galaxy and Modus Games have announced that their upcoming title will be coming to save humanity this April. The game is bringing exclusive preorder bonuses to four of the largest outlets carrying the title. Purchasing it through Best Buy will net you the Short Fuse trial DLC. Preorder at GameStop and you’ll get both the Last Legs and Heads, You Win trials. If you order directly through the PlayStation Store you’ll get the Double Trouble trial DLC. And, buying through the Microsoft Store will unlock the Brightsteel City trial content. The standard edition of the game comes at the standard price of $59.99. However, the Deluxe Edition is also available for $69.99 and brings with it the Days of Dolorum season pass. You’ll save yourself $5 by going that route, as the season pass will run you $14.99 outside of the Deluxe Edition. The game hasn’t been in the video game zeitgeist for very long. Extinction didn’t debut for the world to see until E3 2017. Now, less than a year later, we’ll be getting the title’s release. Extinction plays as a third person hack and slack adventure with platforming elements. As the hero Avil, you’re tasked with stopping the Ogre invasion of your home Dolorum. There will be plenty of minions roughly your size to keep you occupied within the title. But the real meat of the game occurs when you go toe to toe with the towering Ogre’s that threaten your land. These Ogres are huge, and you must utilize your entire skill set and arsenal in order to take them down. 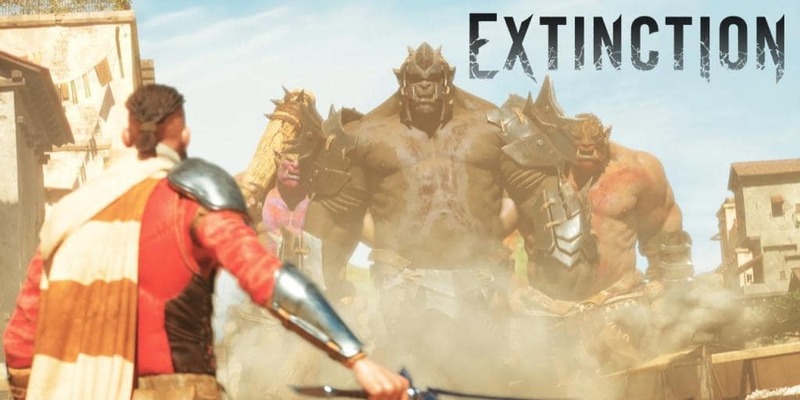 Take a look at some of our prior coverage of the game to see just what you can expect when Extinction releases in just a few months time. The Extinction game release date for PC, PlayStation 4 and Xbox One is on April 10th, 2018.